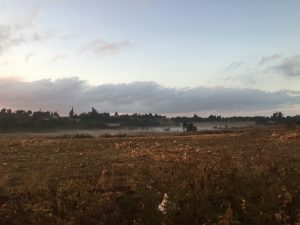 I woke up early that morning for my last run before heading to Nairobi. I intended to not run too long, but caught one of our guide runners early. The views from that morning provided a great send-off. I ended up running for about 65 minutes before heading back to eat breakfast. We said our goodbyes to the staff and all the guests at the High Altitude Training Centre and headed off to Eldoret in a van. Though we arrived early, apparently we were the last ones to arrive to the flight. A worker helped us check in and we took off quite a bit early. 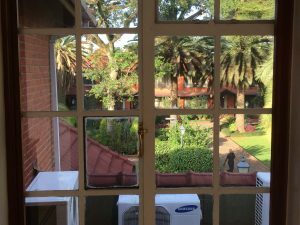 After the pain and hassle of dealing with many airports in my life, Eldoret became one of my favorites. Fly 540 worked out for me as well. Basically just sit down, buckle your seat belts and takeoff! 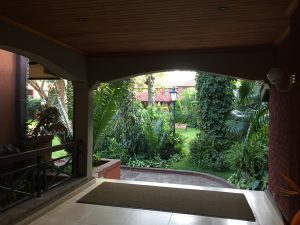 We arrived to Nairobi around noon and called our driver, Francis, to pick us up. 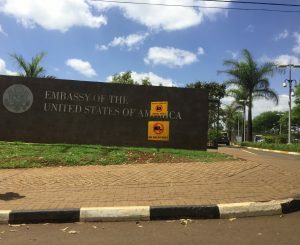 We had an appointment with the US Embassy first (long story, but don’t fear going if you need to straighten something out). Although the embassy wasn’t too far from the airport, it took quite a bit of time to arrive due to the NYC style traffic. 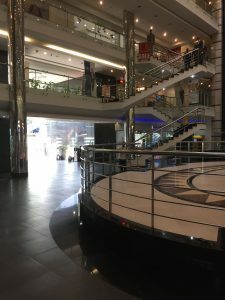 After straightening out everything at the embassy, we ended up taking our driver to lunch at one of the malls in the area. We enjoyed Francis’ company as we talked about our time in Iten and life in Nairobi. After eating we headed to the historic Fairmont hotel to stay for the night. Although we only stayed for one night, we really enjoyed the Fairmont. 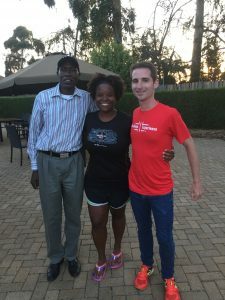 When I mentioned returning from Iten, everyone started talking about running. 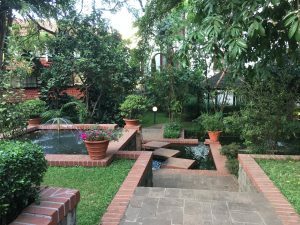 After exploring the hotel and swapping stories about our experiences, including the one about the baboon jumping in our car in Nakuru, we sat down to hear a saxophone and piano duo. 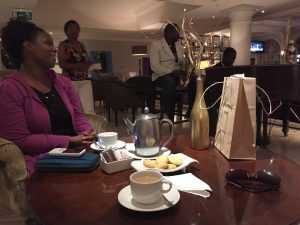 The Kenyan tea and music concluded an excellent trip full of adventure and experiencing an unique culture. I knew I wanted to travel back here soon. We had to leave by 5:00 am the next day to ensure we made our flight. Our faithful driver met us outside and we began to head 18 kilometers out to the airport. Once checking in we were still amazed by the cleanliness in the airport. 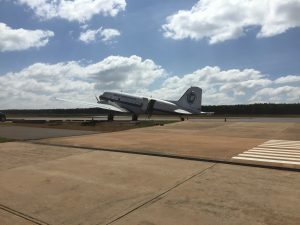 I thought, “If only people back home realized how much more we had, I think everyone would share that same type of pride.” As we waited for our plane I enjoyed the gospel music in the airwaves throughout the airport. 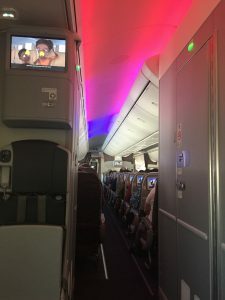 The Kenya Airways plane approached and we boarded to make our trip to Amsterdam in style. I will always remember my first trip to Africa. I’m glad I had the opportunity to travel to the other side of the world right before I turned 30 years old. When I return, I hope to spend a good amount of time mostly focused on my training. This trip introduced me to the culture and how its people live daily. I enjoyed being surrounded by new friends and not as much technology. Although I enjoy New York, nothing quite matches the feel in Africa. I would recommend visiting Kenya to any friend I know.